Porphyry copper deposits are among the world’s most valuable deposits. Here’s what investors should know about them. Porphyry deposits are one of the most important sources of copper and molybdenum, and are also major sources of silver, gold, and tin. In addition, porphyry deposits may host valuable by-products including platinum, palladium, and tungsten. Approximately 50-60 percent of the world’s copper, and 95 percent of molybdenum, comes from porphyry deposits. In the past, porphyry deposits were often overlooked with conventional drilling and assaying exploration methods due to their low grade. Although the grade may be low, porphyry copper deposits typically contain hundreds of millions of tonnes of ore. Grades for the different metals vary considerably, but they generally average less than one percent. In porphyry copper deposits, for example, copper grades range from 0.2 percent to more than one percent copper. The metal content of porphyry deposits is diverse. For deposits with sub-economic grades and tonnages, subtypes are based on probable co-product and by-product metals, assuming that the deposits were economic. The worldwide distribution of porphyry deposits is controlled by orogenic belts. Two types of orogenic belts are known to host porphyry deposits; those created along a subduction zone (where a continental and ocean plate meet) and those found along island arcs where two oceanic plates collide. The porphyry deposits along the coast of South America, and North America are an example of porphyry deposits formed along a subduction zone. Those in the Philippines and Papua New Guinea are examples of island arc porphyry deposits. In porphyry copper deposits, copper grades can range from 0.2 percent to more than one percent, while molybdenum grades can range from approximately 0.005 percent to 0.03 percent. Silver grades range from 0.004 to 0.35 grams per tonne, and gold grades range from 0.2 to 5 grams per tonne. There are a limited amount of copper-porphyry deposits in the world. 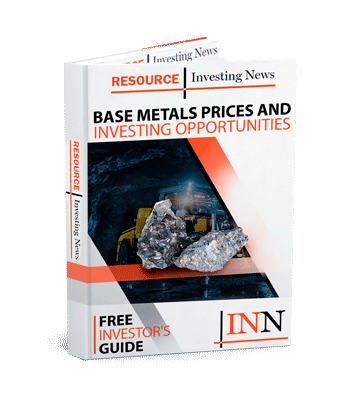 However, one prime example is Freeport McMoRan’s (NYSE:FCX) Grasberg mine in Indonesia, the largest gold mine and one of the largest copper mines in the world. Exploration companies are always in search of the next great copper porphyry deposit. 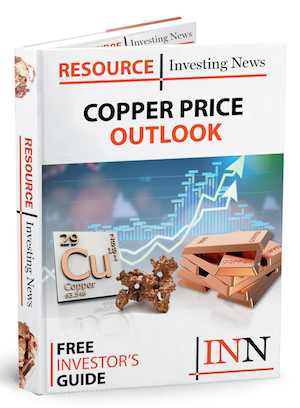 Not only are these deposits an excellent source for copper, but as mentioned above, they often feature significant co- and by-products, which can help lower production costs. What’s more, porphyry deposits are amenable to open-pit mining, often a lower-cost method of resource extraction. Examples of porphyry copper deposits include Codelco’s El Salvador mine in Chile, the Bingham mine in Utah, operated by Rio Tinto’s (NYSE:RIO, ASX:RIO, LSE:RIO) subsidiary Kennecott, and the giant Chuquicamata deposit in Chile, also operated by Codelco, which originally comprised over 9000 million tonnes of mined ore and reserves. This is an updated version of an article originally published in 2011 by the Investing News Network. A geologist would learn little from this article and a non-geologist would be confused by the poorly explained processes. Parts of it are repetitive and there are mistakes in grammar. What percentage of the world’s tin production comes from prophryr copper deposits? It can’t be much. On scale of one to ten, where ten is excellent, I’d rate this article about a two.